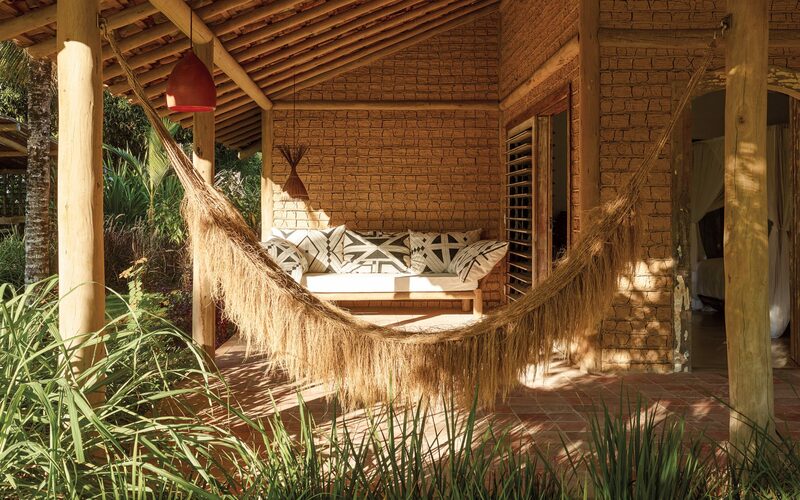 A palm-fiber hammock and a Uxua Casa collection sofa invite repose outside a cottage featuring traditional pau a pique mud-brick walls. 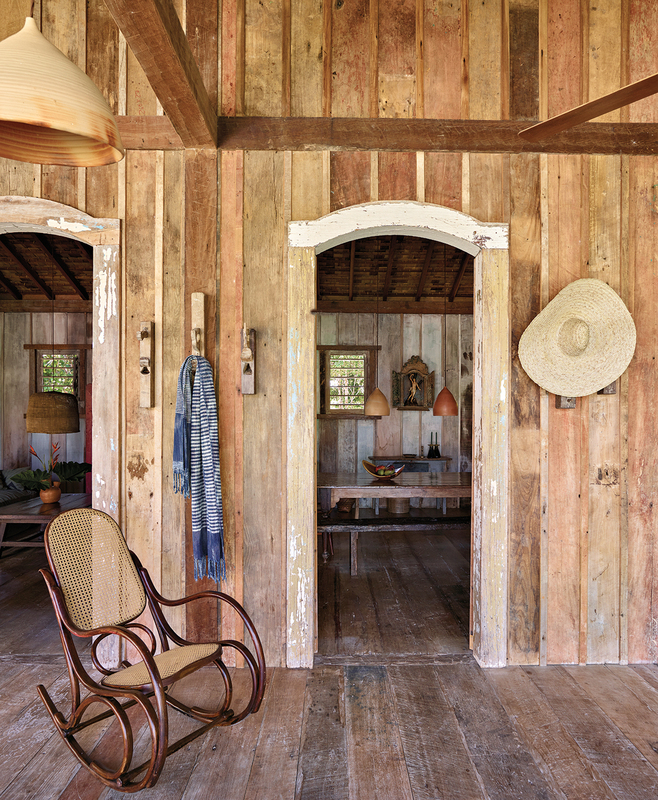 For English art dealer Ivor Braka, his home on Brazil’s Bahian coast is a total escape. 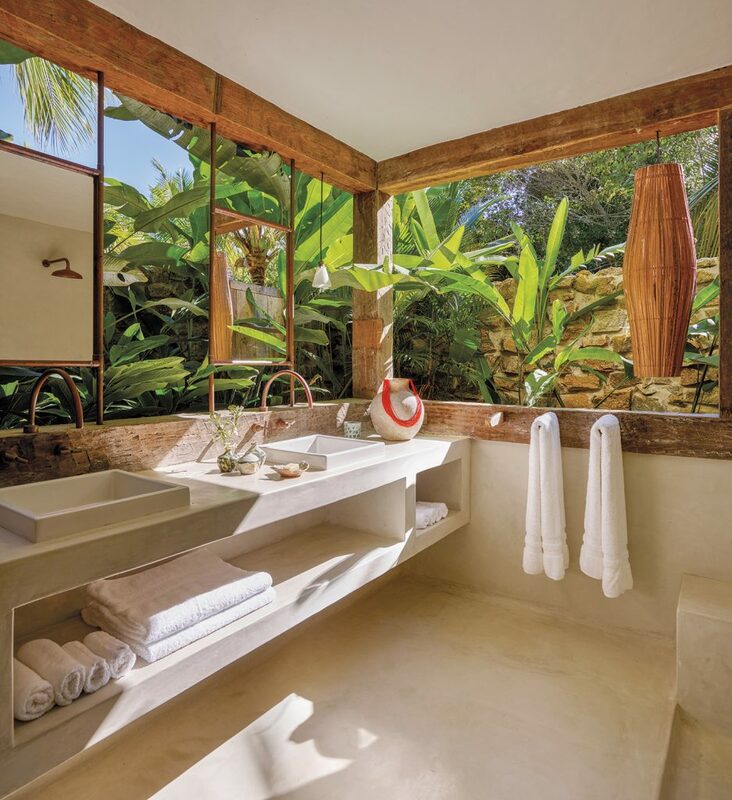 Here, he and his wife, American model Kristen McMenamy, can ease into the laid-back rhythms of this out-of-the-way idyllic spot, which is bordered by a verdant tropical forest and blessed with open views of the sea. 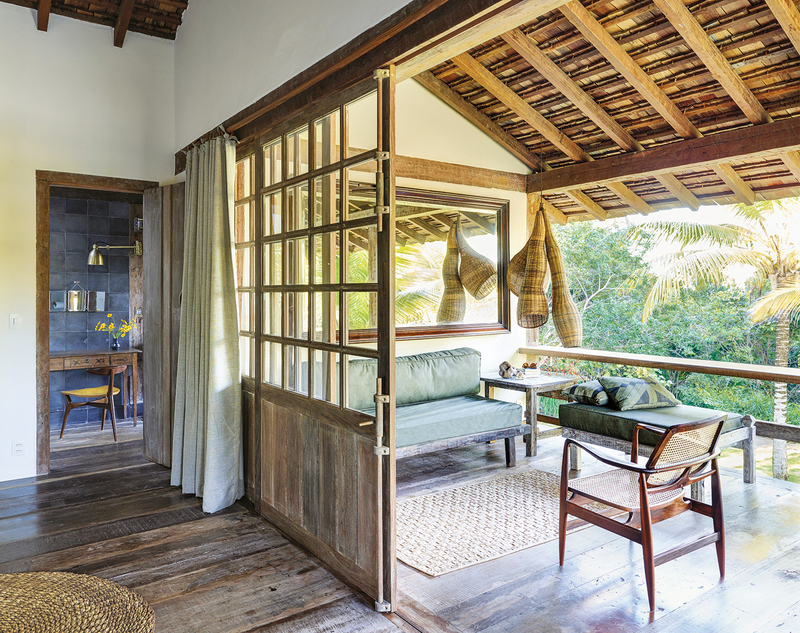 Built and furnished with the help of Braka’s friend Wilbert Das, the designer and hotelier, it is a getaway that makes the most of an extraordinary setting. 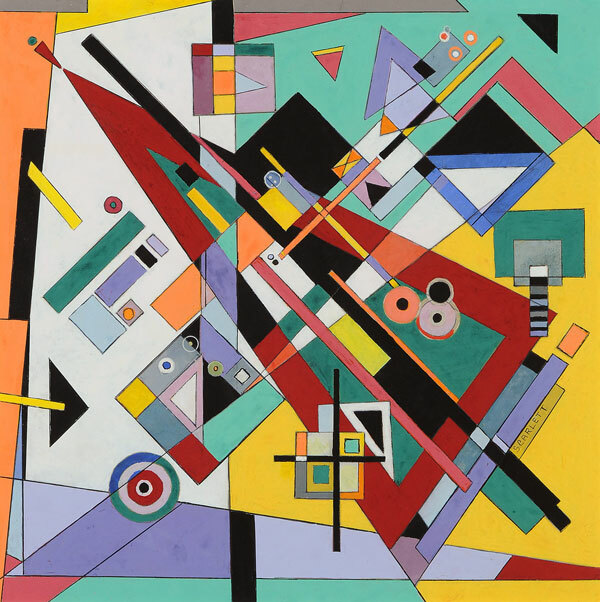 A leading private dealer of modern and contemporary art, Braka made his name—and fortune—trading works by Francis Bacon, Lucian Freud, and other blue-chip masters. He has homes in London and Norfolk, where he also owns an acclaimed pub and country inn with an impressive sculpture park. 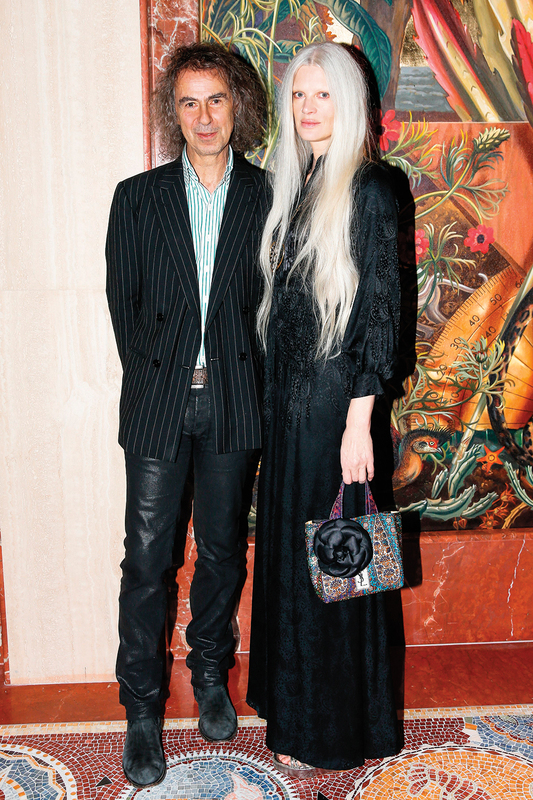 Known for his sartorial flair, Braka is a conspicuous presence on the global auction-biennial-fair circuit. 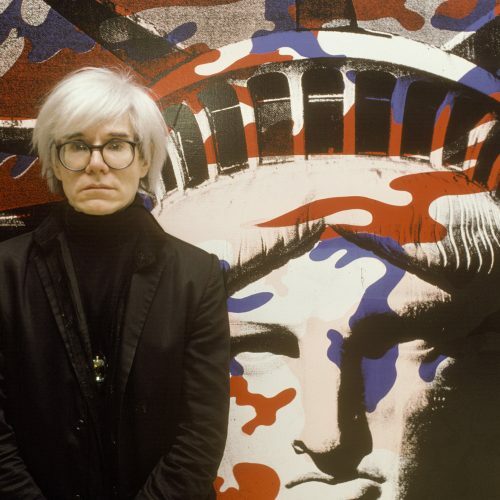 It was art that first brought him to Brazil some nine years ago, for a visit to the Bienal de São Paulo. 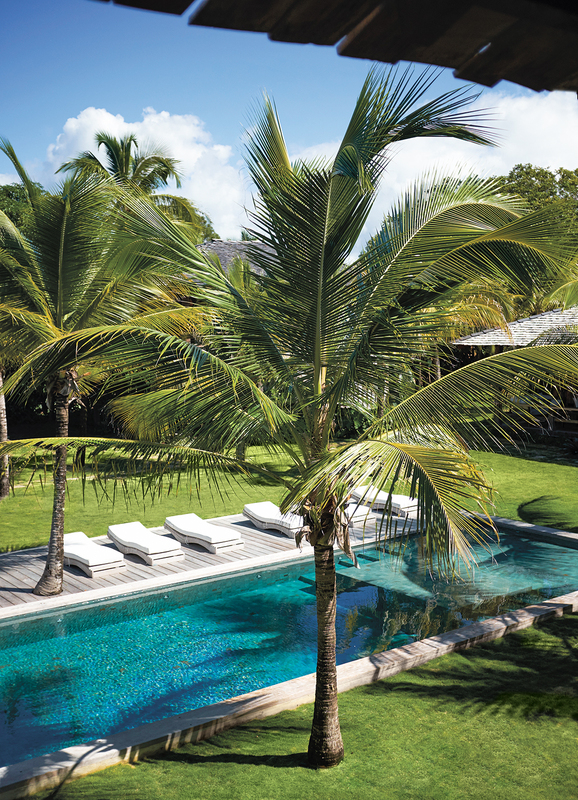 A friend there suggested a trip to Trancoso, an old Bahian fishing village with charming colonial buildings, spectacular beaches, and an effortlessly chic vibe that attracts a sophisticated mix of wealthy Brazilians and in-the-know travelers from around the world. He booked a room at the Uxua Casa Hotel & Spa, which is owned by Das, and his stay proved to be a revelation. 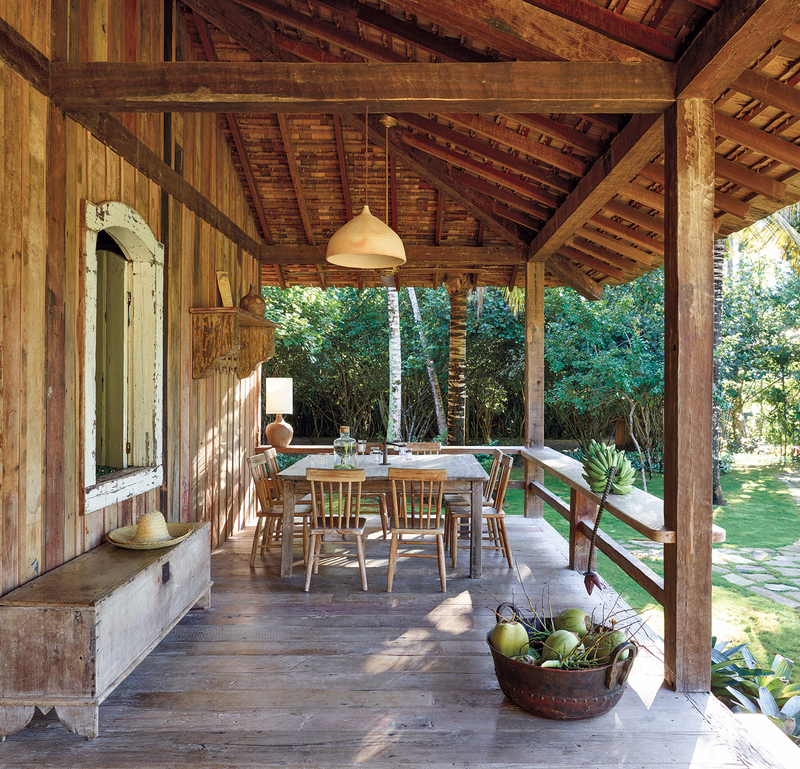 While there, he took a drive down the coast along a winding dirt road to Praia do Espelho, a famously alluring stretch of secluded oceanfront, and he was hooked. 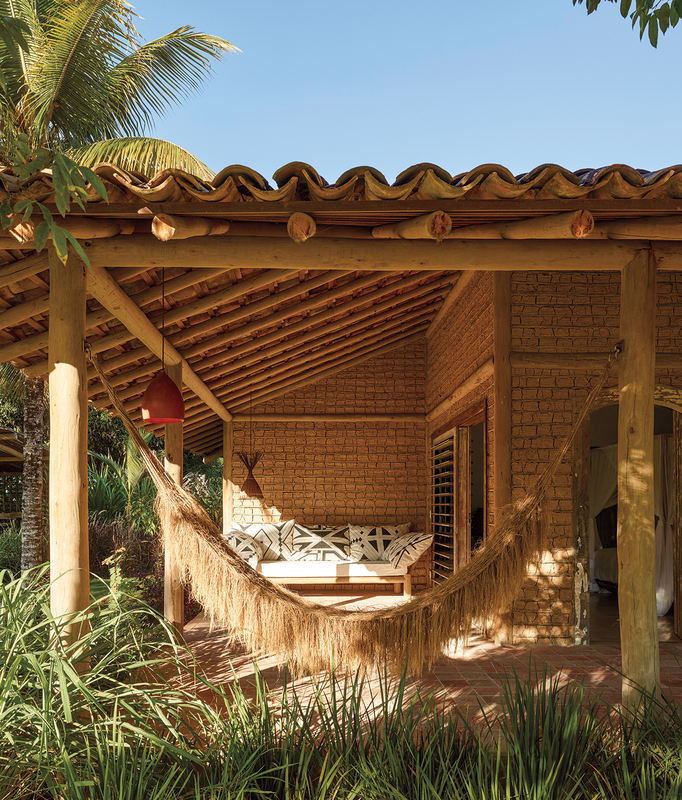 During a second trip four years later, Braka spotted a for-sale sign near Praia do Espelho and ended up buying a dilapidated bungalow with 130 feet of beach frontage. That was followed soon after by the purchase of an adjacent parcel on the slope above. Having admired the look and feel of Uxua, he persuaded Das to renovate the beach shack and, more significant, help him build a new hilltop family compound with enough space for the six children he and McMenamy have between them. 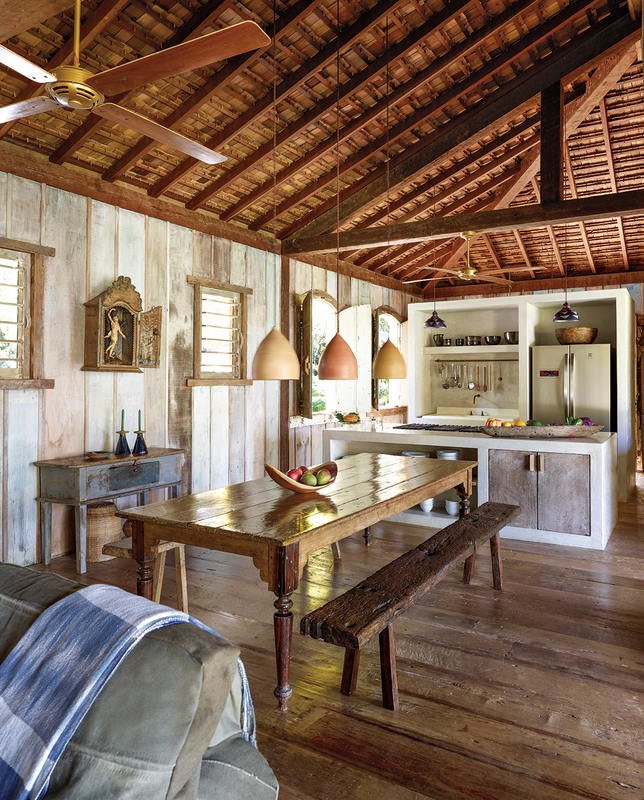 A former creative director of the fashion label Diesel, Dutch-born Das moved to Trancoso a decade ago to oversee Uxua, which he created with his American business partner, Bob Shevlin. Later, he began designing private homes in and around Trancoso, including one for CNN anchor Anderson Cooper. His work emphasizes context and character, focusing on local, often reclaimed materials and collaborating with area craftsmen. 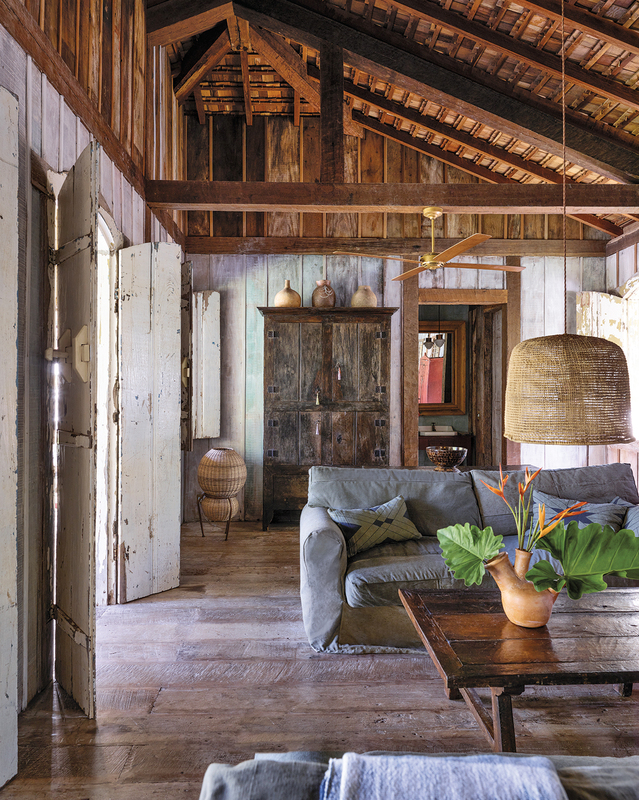 Das salvaged window frames, doors, and other woodwork from derelict fazendas, weaving them into his designs, while giving each building its own style. 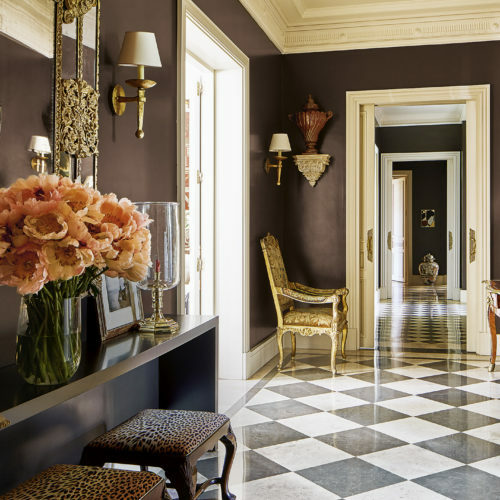 Walls are variously made of wood, stucco, or traditional mud bricks, and floors range from canella-wood planks to terra-cotta tiles to burned cement. 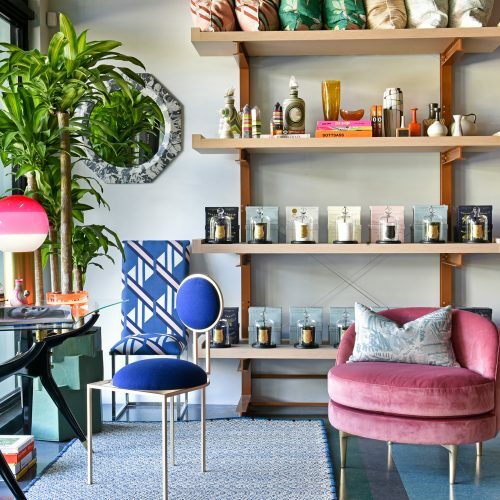 “What’s really interesting is the architectural variety among the buildings, with the main building at the center of it all that looks like an old plantation house,” says Braka. 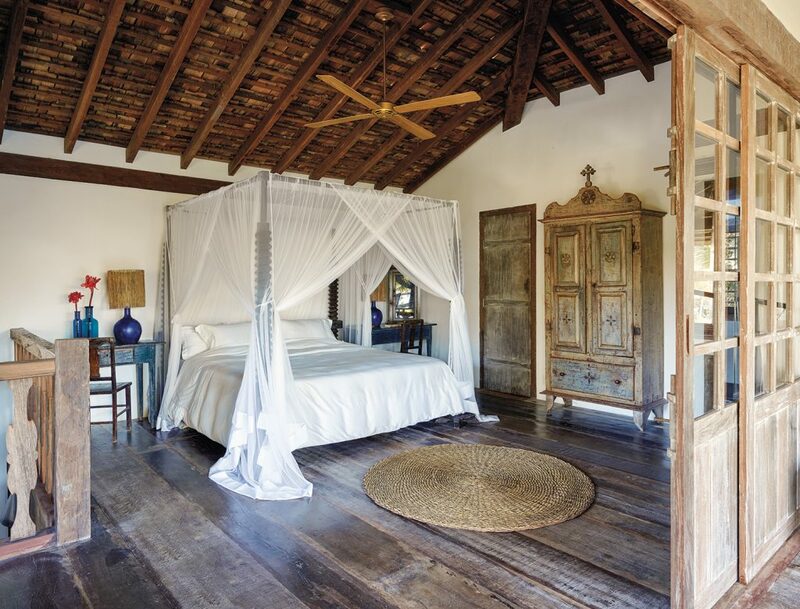 When it came time to outfit the interiors, Das and Braka went on a buying tour in the neighboring state of Minas Gerais, acquiring antique wardrobes, tables, benches, wall-mounted shrines, and other treasures. There was also a trip to São Paulo to hunt for midcentury Brazilian furniture by Sergio Rodrigues and others. 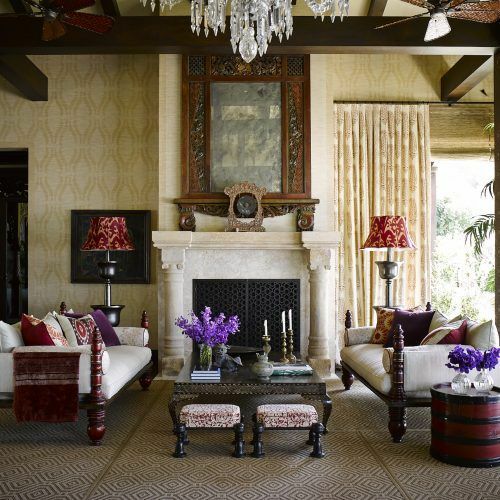 Das combined these with designs from his own Uxua Casa collection to create richly layered rooms that are full of character, and every piece seems to tell a story. It’s all very considered and sophisticated but decidedly low-key. A version of this article first appeared in print in our 2018 Winter Issue under the headline Style Idyll. 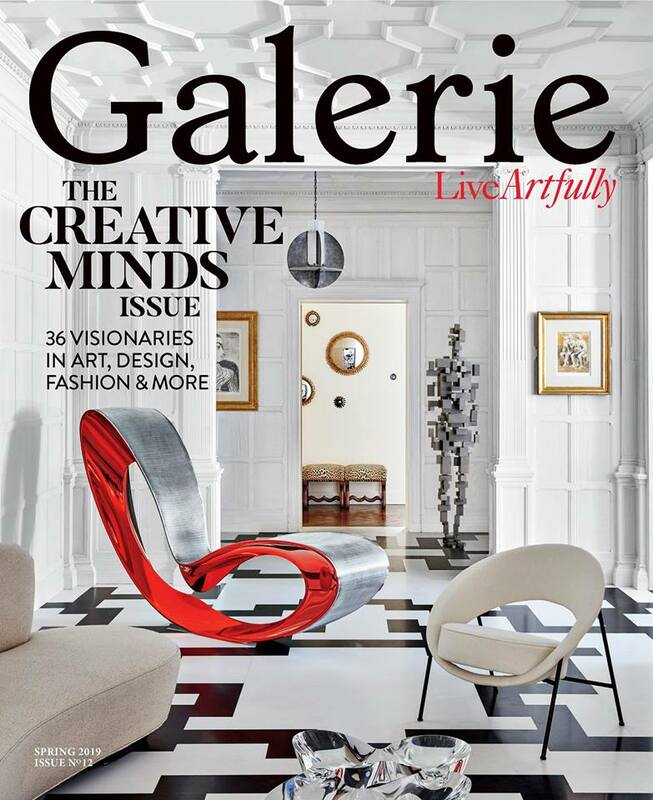 Subscribe to the magazine.